Snapchat has decided to clamp down on third-party apps (for good reason). But now, Windows Phone users will find that they're left without any way to sext—given that there's no official app and all the other options have no been removed from the Windows Phone Store. 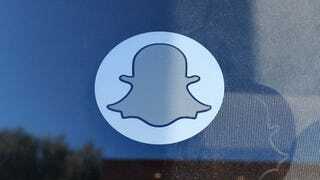 Windows Central reports that third-party Snapchat apps have already disappeared from the app store. What's more, some users report that Snapchat's threat of permanently locking accounts of those who continue to use unofficial software may be holding true. So far, several users have reported it being the case, with the only solution being to grab a new account.